With sadness, we share the news of the passing of Dr. Robert Maurer on September 11, 2016. It is with a sad heart that I write to inform you that my longtime mentor, personal friend and friend to the Osteopathic profession passed away yesterday evening. Robert “Bob” Maurer DO died after a prolonged battle with cancer over the last few years. He was a gentleman, a statesman, and an osteopathic physician, through and through. He brought a kind, commonsense approach to his patient care and the professions fight for recognition and excellence. He was a PCOM graduate 1962, practiced family medicine and rheumatology, and was part of the team that established the school of osteopathic medicine at UMDNJ that became Rowan SOM. He worked for the school in the Department of family practice and established the Sicklerville healthcare center. In his career of that spanned more than four decades, he was a champion of the philosophy and politics of osteopathic physicians and their patients, tirelessly, until his final day. He spoke truth firmly to power, which is virtually unheard of nowadays. The funeral will be at Temple Emanuel, 100 James Street, Edison, NJ 08820 at 12:30 pm on Thursday. Internment Beth Israel cemetery 2:15pm. Born in Brooklyn, he completed his undergraduate education at the University of Pennsylvania in 1953 and received his doctor of osteopathic medicine at the Philadelphia College of Osteopathic Medicine in 1962. Between degrees, he served in the U.S. Navy from 1953-1958. Dr. Maurer joined NJAOPS in 1963, and served as the 1976-1977 president. He also served the osteopathic profession as a long-time officer of the Middlesex County Osteopathic Society, the NJAOPS House of Delegates, the AOA House of Delegates and the New Jersey Osteopathic Foundation. 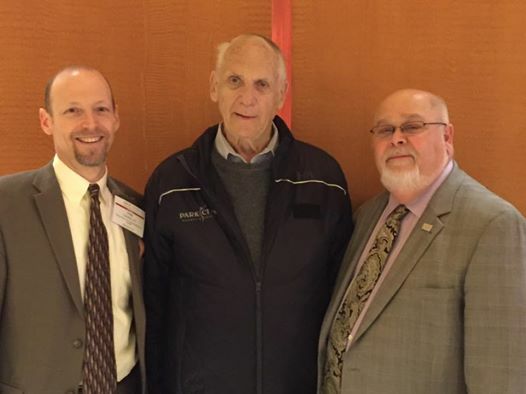 He was recognized for his contributions as the NJAOPS 1990 Physician of the Year and Life Membership in 2002. 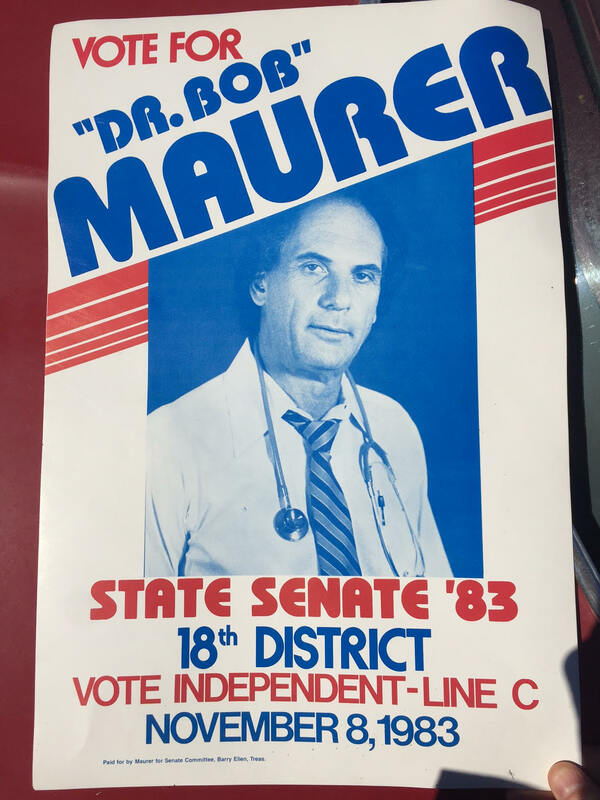 An outspoken advocate for osteopathic physicians and their patients, he ran for the New Jersey Senate in 1983 and the New Jersey General Assembly in 1987. Beyond New Jersey, in 1970 he became the youngest member ever elected to the PCOM alumni board, provided long-time leadership to the American Osteopathic College of Rheumatology, and secured financial support for osteopathic medical school scholarships and continuing education as a member of the Area VII Physicians Review Organization. Continuing his advocacy on behalf of his colleagues long after his retirement from practicing medicine, Dr. Maurer has spent the last several years pressing for a reevaluation and reform of physician evaluation and testing unless it can be proven to improve patient care. California’s legislature just gave a gift to the insurance and managed care industry and it’s bad news for independent physicians and their patients. AB 72 is on the way to Governor Jerry Brown’s desk. This bill will not fix the surprise medical bill problem it claims to solve and it will harm patients’ access to medical care by independent physicians. Insurers will in many cases be able to dictate the fees of out-of-network physicians and the result could be devastating for these doctors. Promoted misleadingly as a means to end ‘surprise billing,’ AB 72 will actually enrich insurance companies while creating shortages of care for patients. Patients are increasingly being forced into narrow networks, in order to cut costs for insurers. The care they need is often not available in the network. 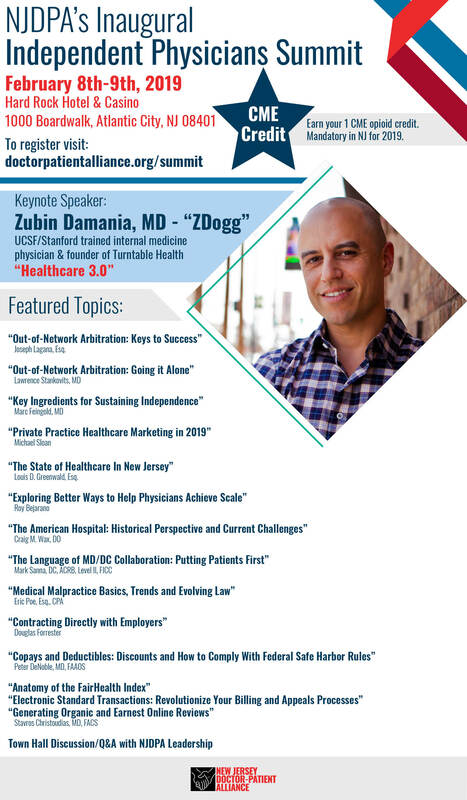 Many physicians stay out of network because the extremely low in-network fees they are allowed to charge wouldn’t cover the costs of keeping their doors open…. [T]his bill will exacerbate California’s current physician shortage. Hospital call panels that provide emergency and also safety-net care for uninsured and under-insured Medi-Cal patients will be unable to deliver adequate specialty services. On, July 13, 2016, The U.S. Senate Committee on Finance held a hearing on MACRA implementation, with Andrew Slavitt testifying. 1. Take the handcuffs off solo and small practices, which are the most efficient, productive, effective and inexpensive healthcare facilities available. The stated goal of MACRA MIPS is to make care more available, inexpensive and productive. Per government data published in Medical Economics, 89% of solo practices will get hit with penalties and a majority of small practices of less than 10 physicians, some 110,00 physicians, will be also be penalized. All solo and small practices are potentially vulnerable to bankruptcy due to MACRA. Consider taking action to formally comment on and prevent the MACRA MIPS rules from taking effect as they would damage the patient physician relationship and would drown care in the red tape of private personal data collection, data manipulation and care reimbursement denials for years to come. Please distribute it to all members for each individual physician to consider action. All physicians must take a stand to resist giving of the federal government, all insurance companies, and their designees unfettered access to all patient and physician private privileged information. This letter is from The National Physician’s Council on Healthcare Policy. We are a national organization comprised of physicians from many different specialties from a majority of states. In 2009 the Council was established by members of the US Congress for the purpose of gathering practicing physician’s input on issues relating to medicine and surgery. The Council has read and critiqued the nine hundred and sixty two pages (962) of CMS Rules spawned from the MACRA Law. By unanimous opinion, even if the stated goals were laudable, the MACRA Rules as written are impossible to implement and will, like the ACA, waste billions of taxpayer dollars and practice man-hours if they are allowed to proceed forward. MACRA/MIPS will destroy the practice of medicine, taking out the solo and small groups first as physicians buckle under MACRA’s financial burden and become salaried employees or leave practice. Implementation will force physicians to betray the Hippocratic Oath by linking payment to the collection of intimate and private data on all patients. (made available without restriction to CMS and related government entities via the electronic medical record – per the regulations ). In effect, it is restraint of trade and a means to redistribute dollars from the small group practice to the large group practice. Most importantly, it is not a legitimate means of providing the highest quality of care that our patients deserve and ironically it will not cut costs. Further, mandatory reporting and participation in shifting government domains is to be used for bureaucrats to publically grade physicians on the pretense of quality. These misleading quality parameters will be used to qualify for financial reward or punishment. One such domain is forced participation in alternative payment models such as Accountable Care Organizations, which are revamped capitated national HMO’s. Even the Medicare pilot projects saw more than half of the participants drop out or fail to save money. References from the Rules are available for the above statements. In 1965, Medicare was passed with the distinct caveat that the law would in no way interfere with the practice of medicine and surgery. In contrast, the MACRA law allows total government intrusion into every aspect of the practice of medicine, including unfettered access to every person’s personal health data. Theoretically the data gathered would be used to construct “population based healthcare” rubrics, and finally “Quality Adjusted Life Years (QALY)” to decide who is to receive what care. This law actually extends CMS reporting requirements to non- government privately insured patients. This will most certainly be challenged in court. The frequent justification for government interference is that the current healthcare expenditures cannot be sustained. Under the auspices of enhancing quality, fixing a flawed payment system, and controlling costs Congress passed another healthcare law few had read. Ironically, the MACRA solution adds billions of dollars in IT, administrative, and software costs to physicians and the taxpayers. At the same time the law takes physicians away from the care of patients. The only winners are IT vendors, hospitals, and entities selling compliance courses and software. With strong opposition, we can stop MACRA during this CMS Rules Comment Period. The WSJ on May 7, 2016 reported that Washington rules now impose $1.9 trillion of annual costs to the US economy, or $15,000 per household. Smaller business is the hardest hit. It is our opinion that every professional medical and surgical society has an obligation to its membership to protect the interests of its members and promote loyalty to professional ethics and moral sensibilities. We urge you to voice opposition to this government takeover of our profession during the CMS MACRA comment period prior to June 27, 2016. We can and must do better. Our patients are counting on us. The National Physician’s Council on Healthcare Policy is asking CMS to exempt small physician practices of 15 or fewer physicians (CMS definition) from this legislation. If you agree, please include that in your comments. The NPCHP thanks you for all your help. Let’s take back our profession NOW.